Eleanor Daley: Bio & Choral Music | Santa Barbara Music Publishing, Inc.
Born and raised in Parry Sound, Ontario, Eleanor Daley (b. 1955) received her Bachelor of Music Degree in Organ Performance from Queen’s University in Kingston, Ontario and holds diplomas in piano and organ from the Royal Conservatory of Music, Toronto and Trinity College, England. She has been the Director of Music at Fairlawn Heights United Church in Toronto, Ontario since 1982. During this time, she has established a thriving choral program for which much of her music has been composed, thanks to the continuing support and talent of her choirs. A prolific composer, Eleanor has a remarkable gift for melody. Her works are most notable for their sensitive interweaving of text and music. She has well over eighty published choral compositions and is commissioned extensively throughout North America. Included in her unpublished choral works are dozens of anthems, nine Missae Breves, three pageants, and hundreds of descants, introits, and psalm settings. Her compositions have been widely performed, recorded, and aired throughout North America, Great Britain, Europe, South Africa, and the Far East. Rose Trilogy, commissioned by the ORIANA Women’s Choir, received the National Choral Award for Outstanding Choral Composition of the Year in 2004. Requiem, recorded by the Amadeus Choir in 2000 on their CD, Songs of the Spirit, received the same honour in 1994. The CD won the National Choral Award for Outstanding Recording in 2002, all awards being given by the Association of Canadian Choral Conductors (ACCC). 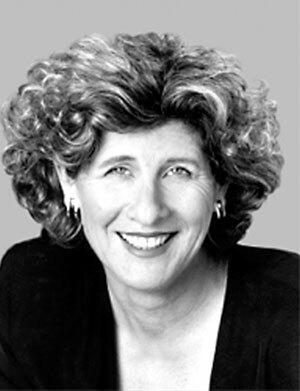 Eleanor has written many commissioned works for Canadian Choirs including the Elmer Iseler Singers, the Amadeus Choir, the Bach Children’s Chorus, the Toronto Children’s Chorus, the Amabile Youth Singers, the Victoria Scholars, and the Calgary Girls Choir. Recent U.S. commissions include works for the Master Chorale of Tampa Bay, Florida, Texas Women’s University Choir, the Alliance World Festival of Women’s Singing in Salt Lake City, and the Texas Choral Directors Association. European commissions include the Norbusang Festival in Bodo, Norway, and the Touch the future Festival in Germany. Eleanor was invited to be the first Composer-in-Residence at the international choral festival, FESTIVAL 500, in July, 2005, in St. John’s, Newfoundland. As well as being a highly respected choral clinician in Canada and the U.S., Eleanor is a busy freelance accompanist. She has worked with numerous choirs, including the Toronto Children’s Chorus, and the Elmer Iseler Singers. She has been the accompanist for The Bach Children’s Chorus under Linda Beaupre’s direction since 1995 and was the accompanist for the Amadeus Choir under Lydia Adams’ direction from 1991-2005. The CD, Canticle to the Spirit, now in its fourth printing, was released to critical acclaim in November 2000. It featured twenty-three original compositions sung by the choirs of Fairlawn Heights. A second CD entitled What Sweeter Music, featuring twenty-one of Eleanor's Christmas choral compositions (also sung by the choirs of Fairlawn Heights) was released in November 2003. Eleanor Daley has 1 titles published with Santa Barbara.